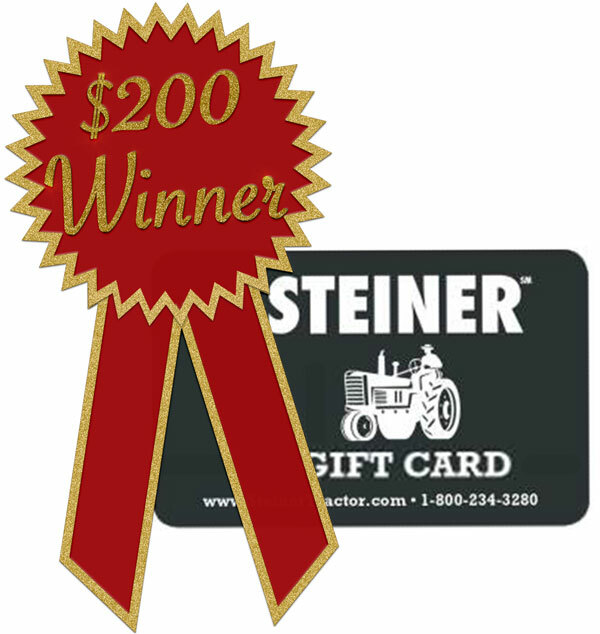 The winner of January’s $200 Steiner gift card is James Magness of Odessa, Texas. James has been a Steiner customer since 2009 and is a fan of John Deere tractors. Congratulations, James! Would you like to receive our monthly newsletter and be enrolled for a chance to win a $200 STP gift card? Sign up now! This story is more about a place rather than a tractor. In 1980 a husband and wife decided to have an antique tractor show at their home. Just like any event the first was small but successful. The duo had a unique love and common hobby of antique farm equipment. Together Horrace and Norma Potter owned over 300 pieces! They easily could have shown their own equipment and had an amazing show, but they chose to open it up and share the hobby with other restorers. The annual tractor show went on for 20 years in Milford, Delaware until the Potters hung up their hats in 2000. Now this is where two lives collide. In 1991 on the 10th annual Hickory Ridge Farm Show a 15 year old named Russell Geyer III started showing his own farm equipment. Russell showed equipment and participated in the tractor pull competition. Russell being a part of a farming family loved Hickory Ridge. Horrace taught him how to compete. Russell competed at Hickory Ridge for 4 years. After high school graduation he, like most graduates, joined the working class. 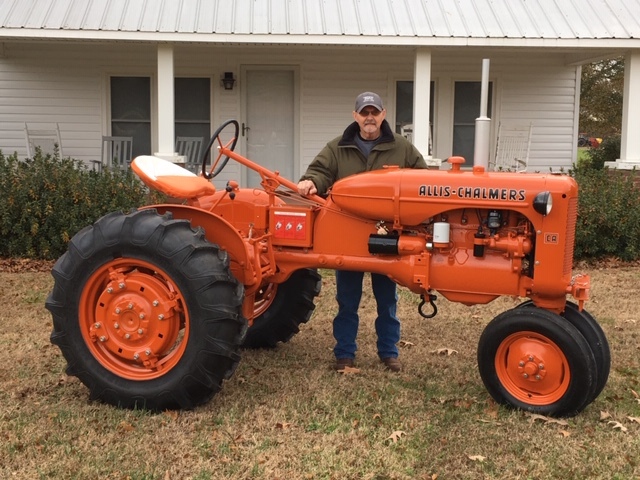 In 2014 Russell purchased and restored a tractor his family bought new in 1963 which appeared in his wedding to his wife. 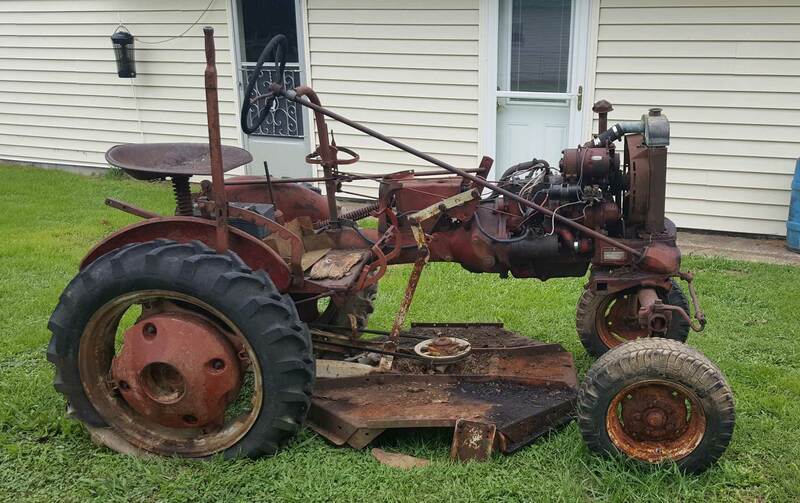 In 2015 Russell and his wife began purchasing and restoring antique farm equipment. Again a husband and wife team up to rescue these long forgotten power houses. By 2018 the Geyer’s had 18 tractors. Nothing compared to the Potter’s but its a goal to work towards. After Norma Davis Potter passed away in 2017 the farm was prepared for a new legacy and going up for sale. Friends of the family connected Russell with the Davis/Potter family and in October 2018 Mr. Geyer purchased Hickory Ridge. Vendors, tractors, and exhaust had not filled the show grounds in 20 years. Children had not ran through the property eating hot dogs. People from surrounding states had not taken in Hickory Ridge’s beauty. Russell remembers the smells, the roar of a tractor pulling a load down the track, the American flag whipping in the wind. Russell and his wife vowed to the family the show would come back to Hickory Ridge. 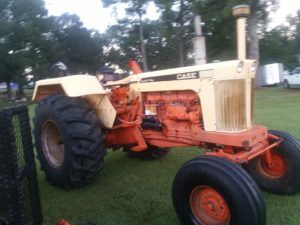 On November 3rd 2018 the first Hickory Ridge Antique Tractor Club held its meeting. Bylaws and rules were formed, positions were filled, and a sense of pride fell over the 5 members and even 2 junior members in attendance. The club is working hard to have the second Annual Hickory Ridge Antique Tractor Show in August 2019. We are looking for more members, including youth members, more vendors, and more sponsors. The family and club want the show to be just like it was. It was a place where history came alive, festivities were affordable, and memories could be made. Hickory Ridge is back and ready to get the show started! For my tractor stories read on here. January’s featured photo was submitted by John Fleming. 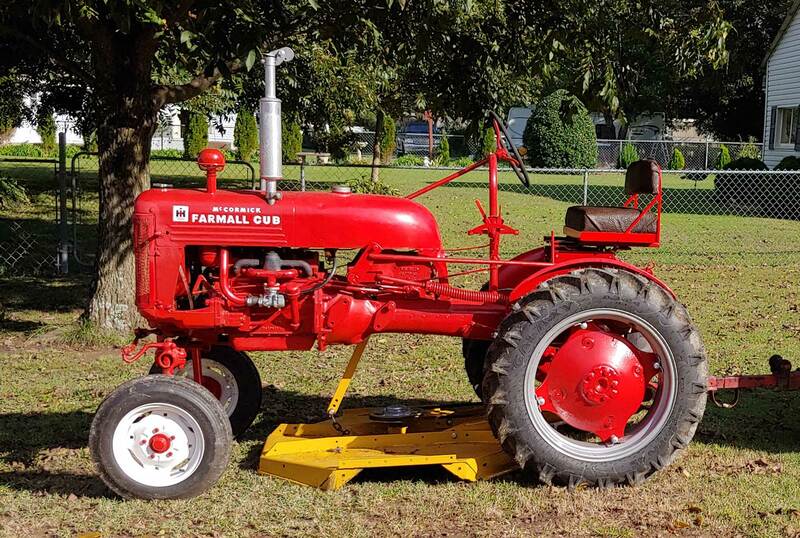 This month’s featured tractor photo was submitted by John Fleming and features his 1950 Co-Op E3 Diesel. “Cockshutt built very few of this model with the diesel engine. Some sources claim only 400 were built. I am still in the early stages of restoration but will be relying on Steiner Tractor to provide many of the parts I will need.” said John. To view all of 2019 catalog contest winning photos, click here. All my life I heard, and often used myself, Thomas Wolfe’s famous phrase “you can’t go home again, you can’t recover the past”. I agree the saying may stand true for many things, but not my grandpa’s tractor. 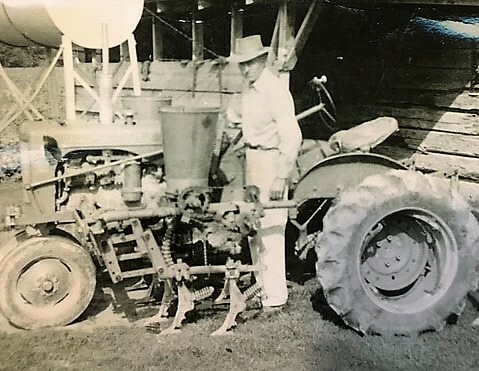 For fifty years all I had of grandpa’s tractor was an old black and white picture of him standing in front of his 1952 CA Allis Chalmers tractor. Of course I had a wealth of memories of the tractor from my childhood. As a six year old, nothing was more fun than spending my summer days riding between the seat and fender of the tractor as grandpa cultivated the fields of cotton. A tractor ride to the creek behind his house to fill two 55 gallon drums so we could water the cows and hogs capped off the days. At harvest time, grandpa would climb onto the tractor and I would dive into the trailer full of cotton to begin our two mile trip to the gin. I can still remember the warmth of the cotton as I peered over the edge of the trailer at the glow of the taillight with a mismatched casing (part orange and part black), mesmerized by the man and the machine. My memories from those times were often the basis of the stories I shared with my son and grandson as we worked on numerous tractor restorations. In fact, both stored a picture of grandpa with his tractor in their cellphones. It always made me hopeful they would share their memories of my stories with future generations. Paired only with the knowledge that grandpa eventually sold the tractor to a man on a nearby farm, I never dreamed our paths would cross again. 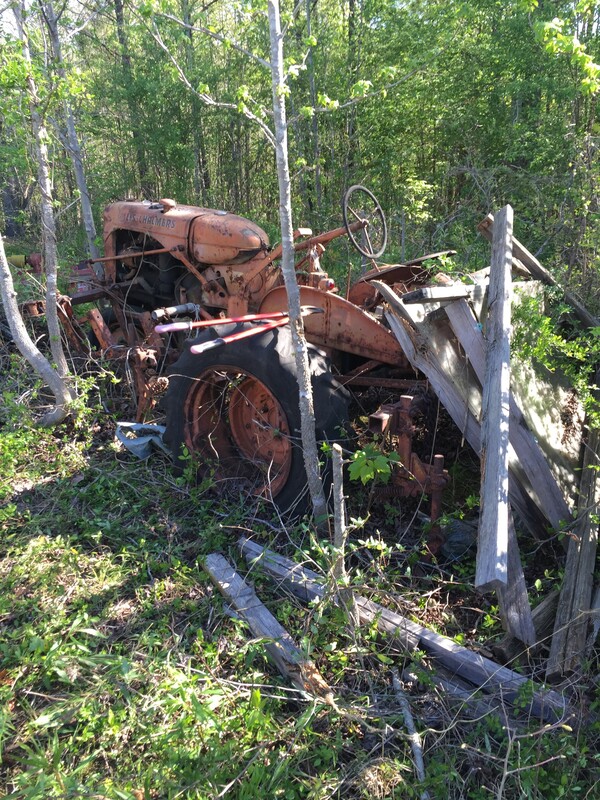 However, recovering the past became much more than just a memory or a dream in 2017 when my son happened across an old tractor about three miles from grandpa’s farm. 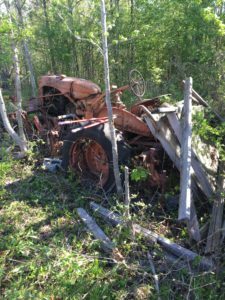 Having been in the woods for years it was in pretty rough shape, but something about the tractor kept telling him he had seen it before somewhere. He knew it was a CA Allis Chalmers from the 50’s with a cultivator, but some unique features were what really caught his eye. He immediately pulled out his phone, pulled up the picture of his great grandpa’s tractor and began to put it all together. The stabilizer bar grandpa hammered into the cultivator, remnants of the steering wheel knob he had added, and the mismatched taillight. There it was, grandpa’s tractor he had heard me talk about for so many years. When we brought it home to the farm, the tractor was obviously not the beauty it once was as depicted in the picture or my memories. In honor of my grandpa and in hope future generations would come to know stories of years gone by, I set out to rebuild and restore the tractor that had brought me so much joy as a child. It would not be an easy restoration with a stuck engine, rotten tires, and rusted metal. It was a far cry from its glory days. Countless hours of work, numerous orders to and shipments from Steiner, much encouragement from family and friends and ten months later we gathered to hear the sound of grandpa’s tractor running once again. 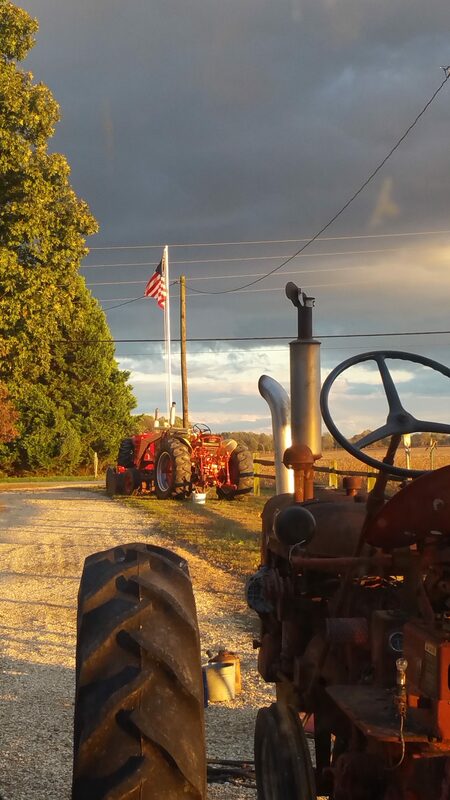 Now, when I hear someone say you can’t go home again, I always think of grandpa’s tractor….back home where it belongs. Weiss Lake Antique Power Association, Inc. The best I can come up with it is a 1960 601-Workmaster Diesel. Bought in Taylor Texas new by Myles Williams. He had a construction company Soley & Williams Construction where he used the tractor pulling a roller to pack down the roads. Mike Williams ( son) took over the company and continued to use the tractor. About 2002 he closed the company, but he kept the tractor and took it down to his ranch in South Texas where he mowed grass with it. In 2016 I bought the tractor which made me the second owner. I then started to restore the tractor and found about Steiner Tractor Parts. I bought all my parts from them and when I needed help they were right there and gave me the help I needed. I use the tractor today on my acres keeping it clean. I will be looking at the old tractor for many years because I had to promise Mike I would not sell it before he would sell it to me. With the help of Steiner Tractor Parts my Cub has changed to look like a tractor, instead of a bucket of rust. I still have a few touch ups to do, like lights. 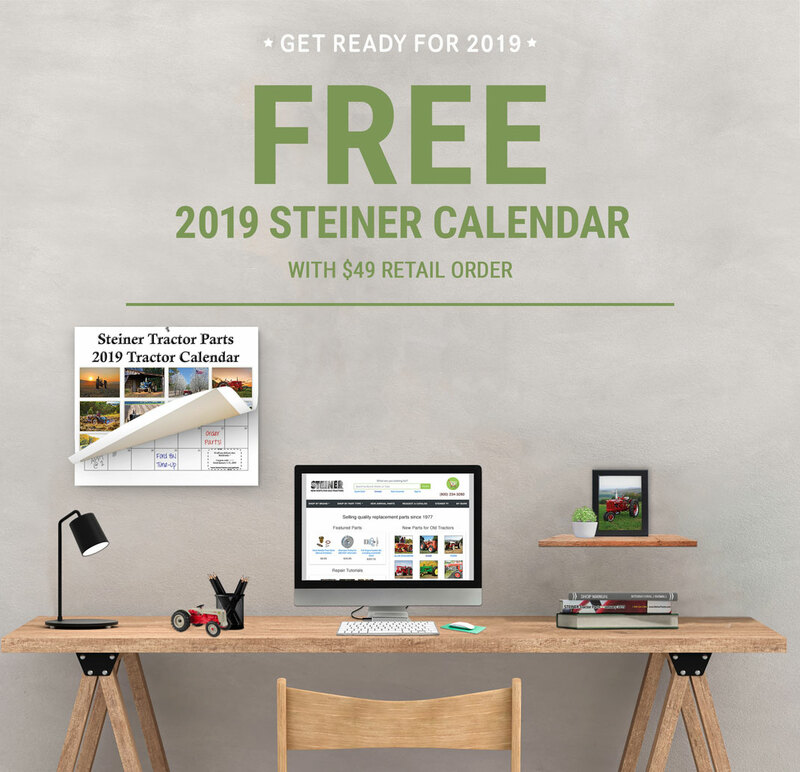 Get a FREE 2019 Calendar when you place a retail order of $49 or more! Keep yourself organized with our new 12 month wall calendar. Each month features an exclusive coupon so you can save all year long. 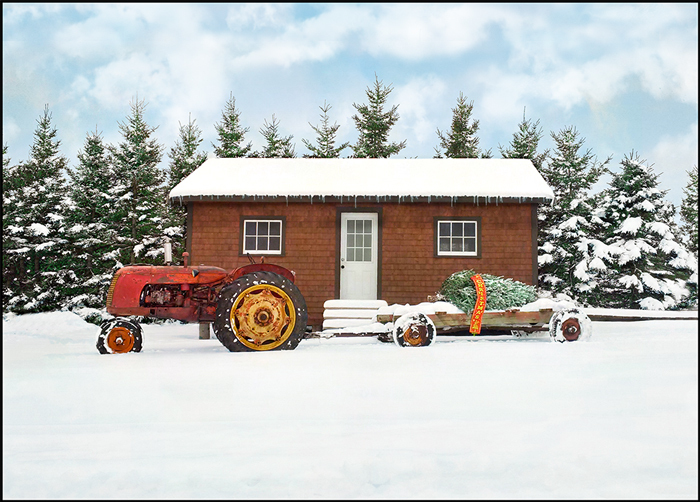 Our 2019 calendar is 10″ x 13″ and full of beautiful tractor photos submitted by folks just like you! Offer is valid on retail orders only with a subtotal of $49 or more. Offer expires at 11:59pm on Friday January 11th, 2019. *Coupons are not redeemable on special order items or gift cards, and cannot be combined with other special offers or sales. The winner of December’s $200 Steiner gift card is Donald Beebe of Marion, Iowa. Donald has been a subscriber since 2017 and is a fan of International tractors. Congratulations, Donald! 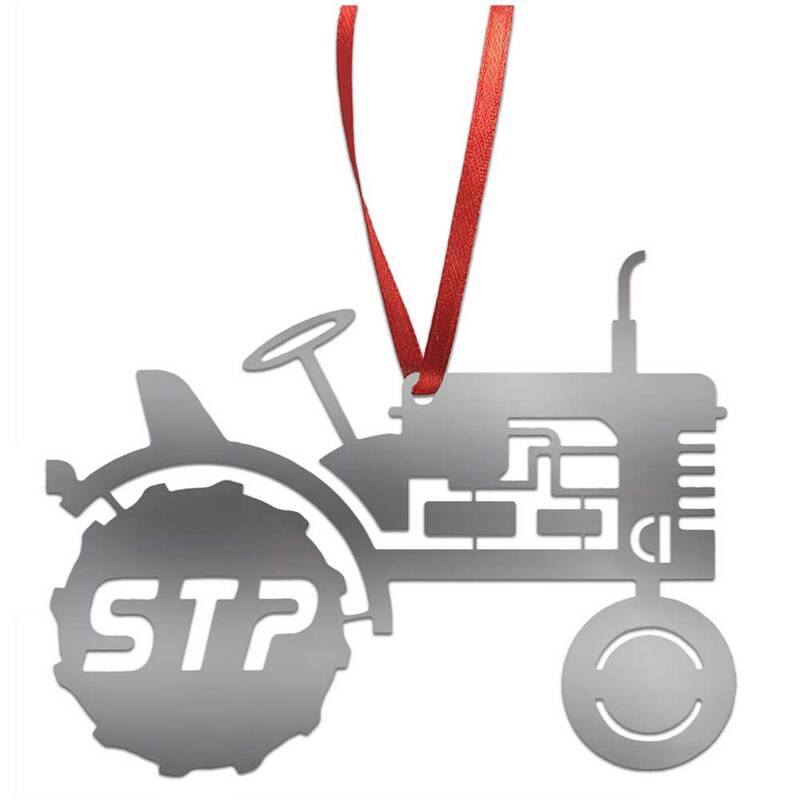 Put a little shine on your tree this year with our Steiner exclusive metal tractor ornament. Receive a free ornament when you purchase a gift card for $25 or more, or add an ornament to your order for just $5.99. Hurry and get your ornament to hang on your tree or display in your barn before they are gone. Gift cards can be ordered in any monetary value by entering part number GCARD and the amount of your choosing. As long as the amount is over $25, you will automatically receive a free ornament. Ornaments are also available to purchase separately (part number MIS4349) for $5.99 while supplies last. Order online at www.SteinerTractor.com/MIS4349 or ask one of our friendly customer service representatives to add one to your order when you call us at 1-800-234-3280.